Box Text: Enter the vicious web of danger and disaster! 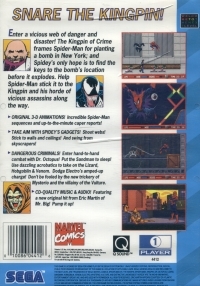 The Kingpin of crime frames Spider-Man for planting a bomb in New York; and Spidey's only hope is to find the keys to the bomb's location before it explodes. 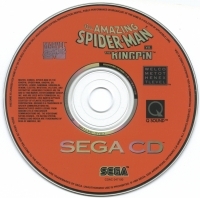 Help Spider-Man stick it to the Kingpin and his horde of vicious assassins along the way. This is a list of VGCollect users who have Amazing Spider-Man vs. The Kingpin, The in their Collection. This is a list of VGCollect users who have Amazing Spider-Man vs. The Kingpin, The in their Sell List. 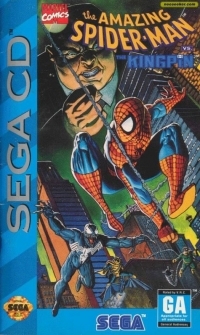 This is a list of VGCollect users who have Amazing Spider-Man vs. The Kingpin, The in their Wish List.